Built Instagram @morehappylife to over 13,000 followers. Over 100,000 followers across all social media channels about happiness. Created online courses to teach people how to be happier. #1 Positive Psychology Broadcaster on Persicope app in 2016. Recently interviewed Martin Seligman, the father of positive psychology. Manage social media pilot programs for publicly-traded multi-billion dollar global corporation. Currently building an exciting new sub-project called 1000 Words to inspire people with powerful stories and in-person events. Curated and published niche content to 525,000 active Facebook followers daily. Over 6 million page views & 20 million ad impressions since launch. Moderate page comments and messages on our weekly Facebook reach of up to 1.2 million page impressions. 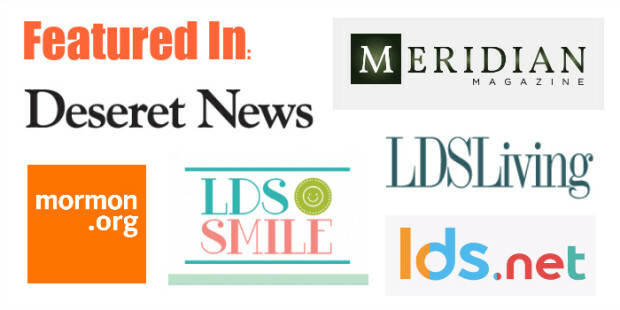 Launched online retail supplement business that has generated over $350,000 in company revenue. Generate weekly sales by nurturing a growing email list. Experienced in sales page creation and optimization. Helped grow Q Sciences (mother company) from 5K to 13K active distributors. Broadcast positive psychology livestream show to average virtual classroom of 200 live viewers. 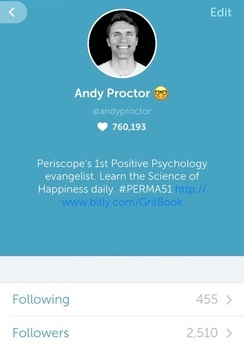 Started first ever positive psychology livestream show on the fastest growing social media platform in history. Hundreds of hours viewed. Thousands of questions answered. 760,193 likes and 2,500 followers to date. Also fluent in Snapchat, Facebook Live, Instagram Stories, Blab, MeVee, FanDate, YouTube Live and other livestream channels. Advised on social media pages and helped grow Facebook page from 11,000 to over 73,000 page likes. Optimized Google Adsense, increasing ad revenue by $52,000. Built new ad management system back-end for Meridian Magazine display advertising. Managed all advertising sales, fulfillment and performance reporting for all display ads sold. Live Your Mission - My first book. It is important to find your personal purpose in life. Especially when you are in a transition stage. One very important transition stage is between full-time missionary service and everyday life. This intends to help the 300,000+ missionaries, who have come home from their mission in the last 10 years, to find their life calling and live it with passion. Life is happier when living your mission. Provided high quality search engine marketing (SEM) for a variety of clients including major online publications, eCommerce sites and local businesses. Provided white-label SEM fulfillment for various online marketing firms. SEO, PPC, Web design, Google+, social media site integration, SEO-Video production, corporate SEM consulting and blog strategy. iPhone/Android App development and marketing. Innovated and created a series of original mobile apps (for Apple & Android). Developed kids Bible story app website to aid in sales and marketing. I build basic wordpress websites and other template-based sites. Examples below. Technically aided thousands of high-profile academic clients - Harvard, Stanford, MIT, Yale (and hundreds of university) professors and students. Received an honorary mention in a Duke University Dissertation for technical aid throughout doctoral research. Technically aided thousands of high-profile corporate clients - researchers from Apple, Sony, Bain, The Conference Board, Verizon, and many other companies who use the software. Intricately involved in every software update - (every 6 weeks from Jan. 2009 - Feb. 2011). Discovered, tested and catalogued/reported hundreds of bugs within the system in an effort to improve customer-software experience. Developed template for an Implicit Association Test (IAT) -- worked together with Greg Brassfield and Rachel Smith to come up with a marketable IAT that will be available to all academia for doing research with IATs. Is currently being used by Stanford University, Texas Christian University, Ohio State University, Penn State University, Arizona State University, Miami University, City University London and others. Co-Developed template for the Stroop Effect Psychological measure. Assisted David Lee, a University of Michigan Grad student, to develop this measure who used it for his masters. Others have used this as a template. Built an Informed Consent form for academic IRB use. Built Drill Down Calendar questions for ranges from 1945 - 2020. Weather.com -- the skin that I designed was used by weather.com on their front page going to millions of page viewers (through the site intercept). Yale Center for Clinical Investigation, Seagate, ESPN, MIT Sloan, Stanford , Sisters of Mercy, Harvard Psychology, Hotel Park City, Principal Financial, Verizon, Virginia Tech, Morgan Stanley, Segmedica, Becton Dickinson, University of Pennsylvania, USC Marshall, Seattle Times, UW Madison, CVS Caremart, Fingerhut, Intuit, Nuskin, CapitolOne. Helped in creation of tutorial videos for new user trainings on website. Aided in User Forum Overhaul process. Performed Independent Market research for Funding Universe through MoreMarbles. Designed a custom branded skin. Developed and designed a survey that was sent out to over 600 lawyers, accountants and small business owners. Helped analyze the data and present the findings to Funding Universe with suggestions of where to invest based on the results. 3 Years of summer sales experience. Team Generated over $420,000 in 4 months. Personally generated over $60,000 in 4 months. Had a blast with my sales teams! Taught missionaries the Spanish Language before leaving to various Spanish speaking countries around the world. Took them from NO Spanish to Teaching in Spanish in about 2 months. Helped missionaries transition from high-school minded life to professional minded life. Taught them effective teaching skills.